For over 4 years, MIRARCO’s Schedule Optimization Tool (SOT) has provided benefit to mining companies as the only software on the market to optimize the net present value of longterm schedules for selective underground mining operations. These include both access development and production within operational resources, and precedence constraints for thousands of excavation activities. With case studies available for review, what additional optimization extensions can be added to enhance the SOT software? SOT 1.2 was released in the fall of 2012 with additional features including capacity analysis, capacity flexing, containment costs and pinning (fixed timing) which were features previously restricted to proprietary users. SOT is commercially available and licensed through 3 distributors – CAE Mining, MineRP and Deswik. SOT+ aims to advance the functionality of the software for selective mining methods and to expand the software to handle bulk mining. In partnership with Vale, Newmont, CAE Mining and Deswik and project managed by CEMI, SOT+ is focused on five research themes, each of which will be anchored with a case study. Learning curves’ from a SOT run as it uses artificial intelligence techniques to optimize the net present value of a mining operation. Themes include: ore blending, ventilation constraints, geotechnical constraints, schedule optimization for bulk mining methods (block cave and/or surface mining), and advanced valuation. The research team includes partners from MIRARCO, Laurentian University, Curtin University and Chasm Consulting/Ventsim. Each theme will support a specialist with knowledge of mine planning and the relevant research theme. Recruitment is currently underway for additional mine planning specialists for this project. 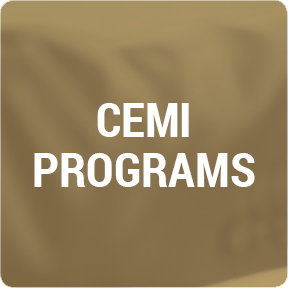 Mining companies interested in sponsoring a case study or learning more about SOT+ should contact Seppo Haapamaki at CEMI. The first case study is currently underway at Vale, with a focus on integrating and optimizing the schedule of a multi-orebody operation. The research will involve sensitivity analysis (mineral prices, costs, and mineral grades) and implementation of an advanced valuation methodology to enhance the robustness of mine plans in the presence of uncertain project parameters.